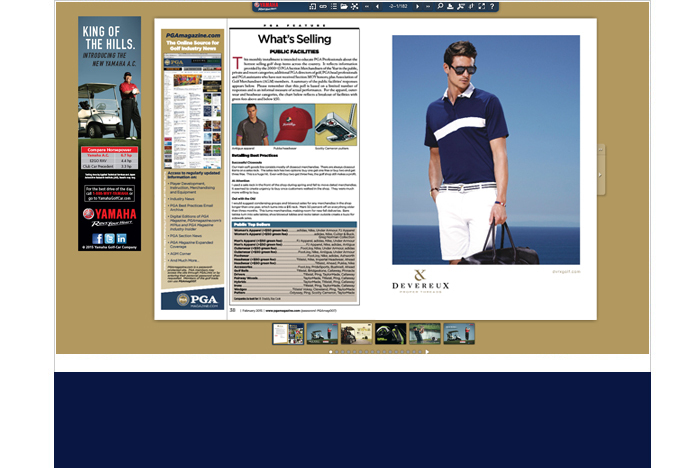 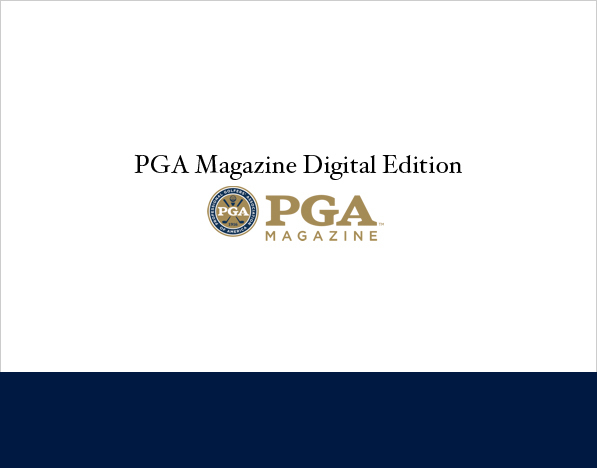 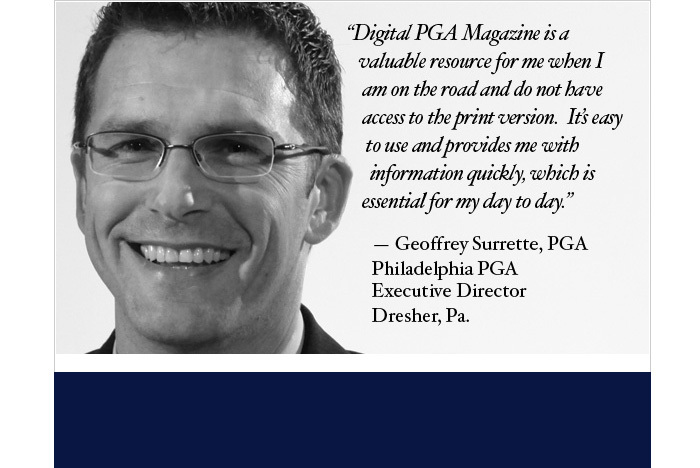 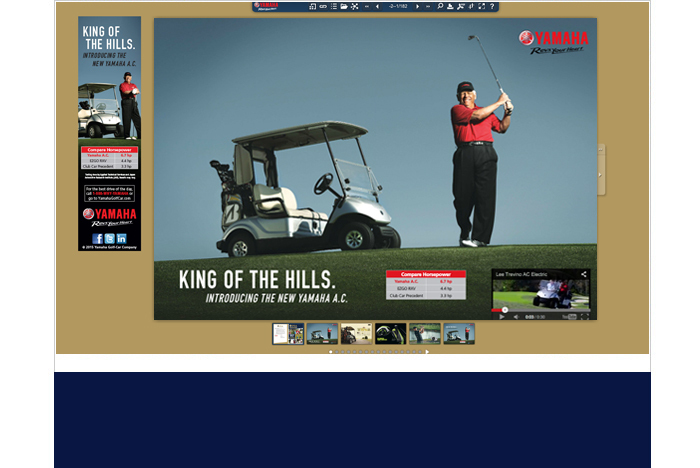 The leading trade magazine in golf – delivered digitally every month with 625,844 total page views, 25,053 total visits and 14,777 unique visitors over a twelve-month period. 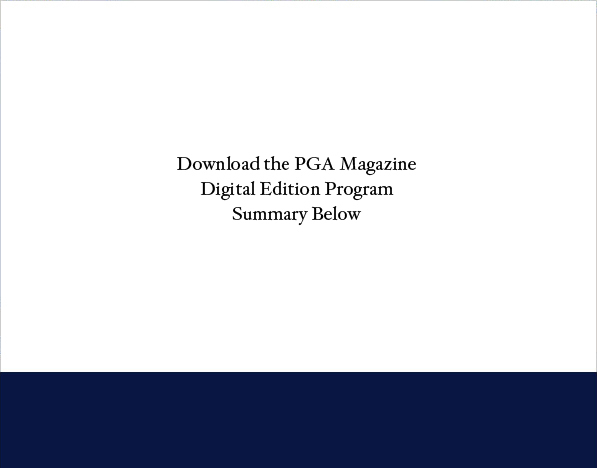 Circulation includes: 4,000+ PGA Apprentices, 3,000+ PGA PGM Students and Faculty, 600+ AGM Members, roughly 3,000+ Industry Leaders and PGA of America executive officers and staff and all PGA Professionals working outside of the United States. 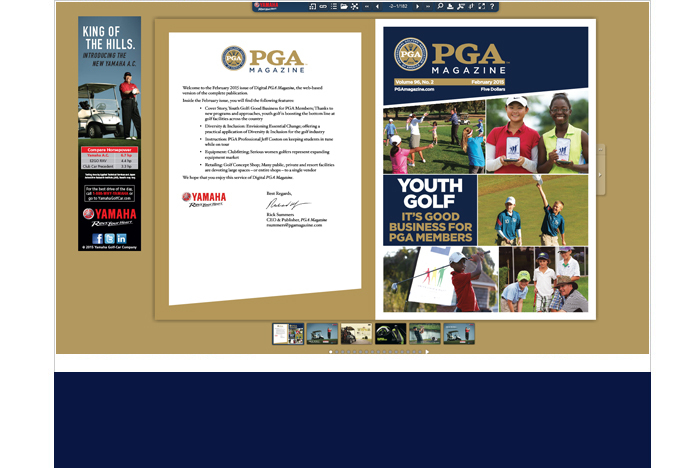 Sponsorship Opportunities: Logo inclusion on welcome letter and navigation tool bar, digital inserts, video box, banner ad, special digital issues with targeted distribution, and more.